That is, sewing things for kids, not teaching kids how to sew. If I ever get around to teaching a child how to sew, I may do a post on that, but for now you’ll have to settle for the ups and downs of making garments for children. Now, due to the fact that I’m an 11th hour sewer, I dropped the ball on getting this post to you in time to inspire you to make a Halloween costume for your child. However, while we here at the Minnesota Society of Costumes consider Halloween to be a bit of a holy day, we also offer family friendly events throughout the year. Therefore, it’s really never too late to sew something for little Bobby Sue or Alexander (who I hear is having a terrible, horrible, no good, very bad day, so doesn’t he deserve a fun costume?). If you’ve ever sewn a costume for yourself, you can sew for a child. In some ways sewing for kids is SOOOO much better than sewing for adults. For instance, if you’re like me and the idea of sewing a 3½ yard hem on an Elizabethan gives you hives thinking about the tediousness of such a long straight line, then you’re totally in luck. Little kid hems fly by like a dream, and you’re done before you know it. They also tend to be cheaper (unless you’re choosing to outfit your child in the finest laces, in which case, will you adopt me?) as there are far fewer yards of everything involved. 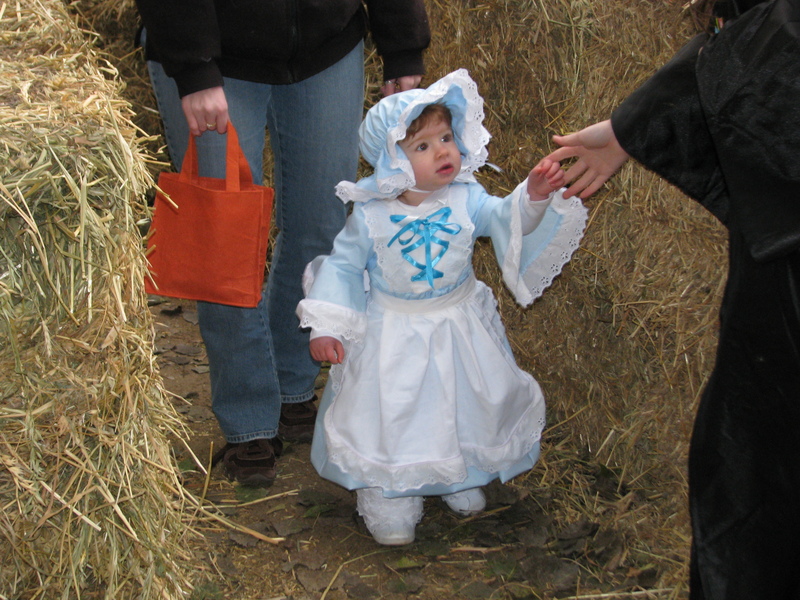 Ten yards of trim on Little Bo Peep here would translate to at least 20 on an adult. And trim is expensive, y’all. They’re also a hundred times cuter, which makes them a hundred times more fun to see finished. The cuteness also makes it a hundred times easier to disguise your mistakes (not that you make any). 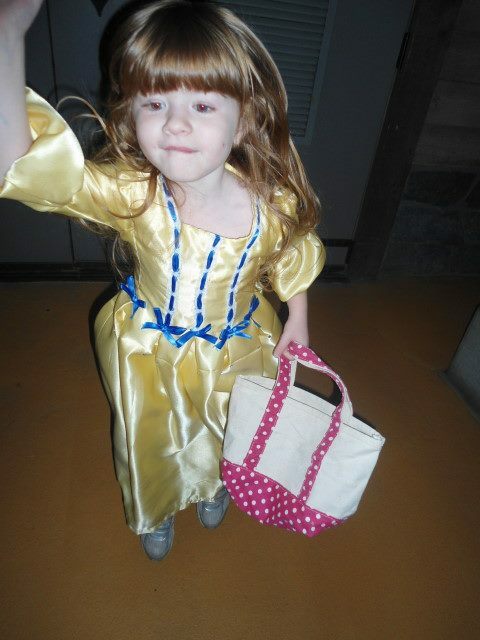 No one is going to be looking at your hems and top stitching when there is an adorable young princess in their presence. Incidentally, the costume you wear alongside the adorable young princess will also experience the same mistake-masking effects, however, it goes a little overkill in that it actually masks the entire fact that you’re wearing a costume. So maybe that’s a con. Haven’t decided yet. Lastly, children are easier to fit. They are not curvacious or bootylicious. They are nearly perfect little rectangles that rarely require darts or fancy altering because, let’s face it, we don’t really want the garments to hug “just right” anyway. Save “just right” for after they turn 18. No, better yet, 30. But lest I lull you into a false sense of security and cause you to rush out to your local Jo-Ann (where, if you were a paid MNSoC member, you would automatically qualify for 10% off EVERY purchase) and buy up every child sized pattern in all the land, I must give you a few words of warning. Namely, freakishly small baby-sized arms. A second, and maybe less-likely con, depending on the child, is that children are fickle beasts. One minute they may say “Yes, Auntie, I do so love the princess dress you made for me, and I cannot wait to try it on,” and the next minute they are throwing an hour long tantrum over not wanting to be a princess but wanting instead to be a butterfly. This is purely hypothetical. Despite the possible downfalls, ultimately costuming for kids is just as rewarding as making yourself a beautiful gown or a steampunk waistcoat and top hat. Kids make the most fun models, even if they can be trying at times.